passed away on January 10, 2019 at North Ridge Care Center in New Hope. 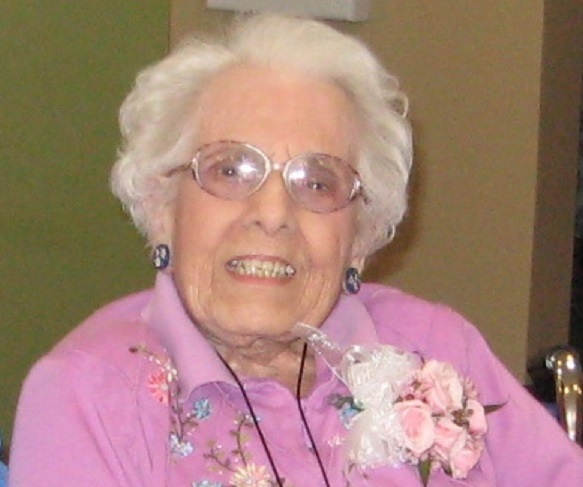 Elvera was born on October 25, 1912, to James and Josephine Checco of Hibbing. She graduated from Hibbing High School in 1931, attended Hibbing junior college and cosmetology school in Minneapolis. She worked as a hair dresser at DeMars Beauty Shop and as a bookkeeper for Sunrise Bakery. She married John W. Johnson of Nashwauk in 1946 and they welcomed a daughter 11 years later in 1957. Elvera was a member of the Blessed Sacrament Church, the Italian American Club, the Moose Lodge and the VFW Auxiliary. She loved to bake, entertain family and friends, play Bridge and Bingo and go dancing with husband John and their friends. preceded in death by husband John, her parents and siblings, and son-in-law Rich. Mass of Christian Burial will be held on Saturday, January 26, 2019 at 11:00 am in the Immaculate Conception Catholic Church with visitation at the church one hour before Mass. Burial will be in Maple Hill Cemetery.